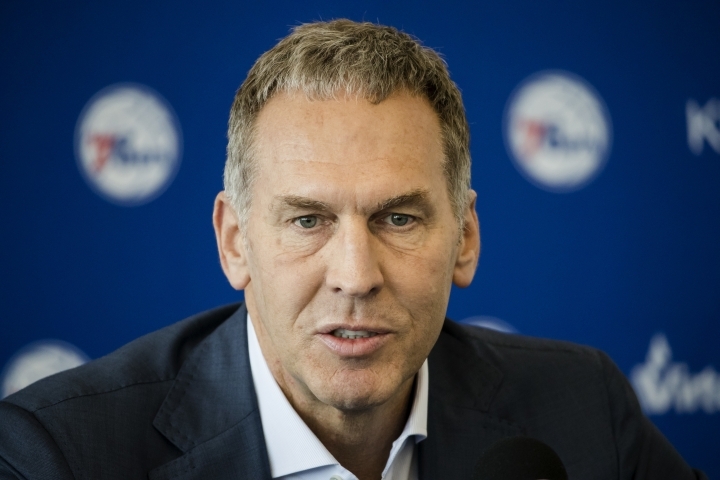 Colangelo resigned Thursday as president of basketball operations for the 76ers in the wake of what an investigation found was "careless and in some instances reckless" sharing of sensitive team information. "At no point did I ever purposefully or directly share any sensitive, non-public, club-related information with her," he said. "You never want to see someone's job end through an unfortunate circumstance like this. I certainly understand from the 76ers' standpoint that that bond has been broken," NBA Commissioner Adam Silver said. "It's not even necessary to assign fault, just the reality of where they all find themselves. I think Bryan recognizes like that as well, that these teams are like families and it can get to a point where it becomes dysfunctional and I think that's where they found themselves right now." "Over the last two years, I have worked hard to help build a foundation for what I hope will soon be many championship seasons for the 76ers," Colangelo said. "I am grateful to team owners Josh Harris and David Blitzer for the opportunity they gave me to be part of such a great organization. I am saddened to have to leave under these circumstances."